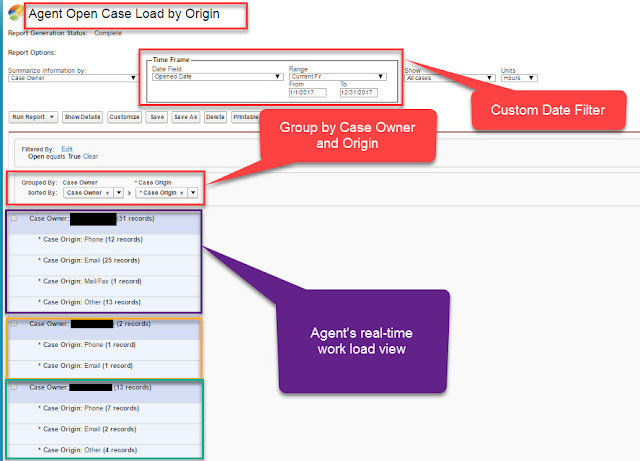 As a call center manager, it is very important to monitor team's case performances targets, train new support agents, analyze team's open case performance and etc. 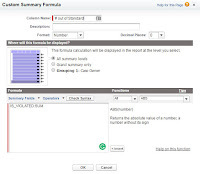 There are multiple matrices which a call center manager normally monitor to improve contact center's performance. 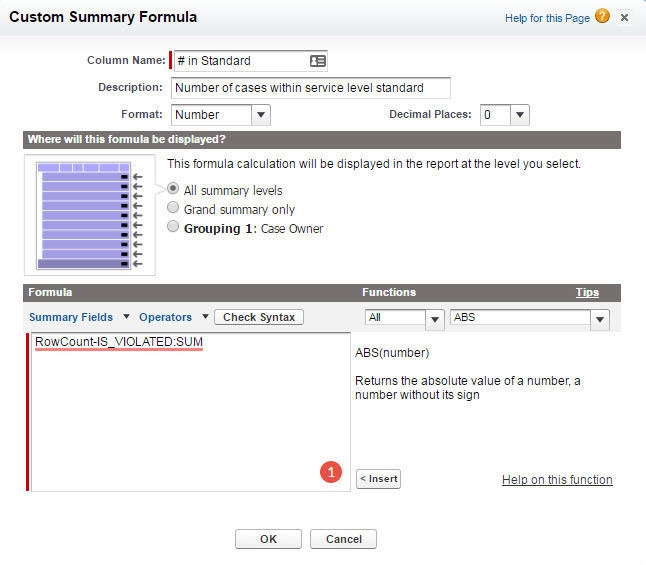 If you have email-2-case configured in your organization and your email cases are routed to individual queues as per the case assignment configuration, then you might need to monitor your email queues to understand how many cases violated, what is the percentage of cases(in standard and out of standard) per queue etc. 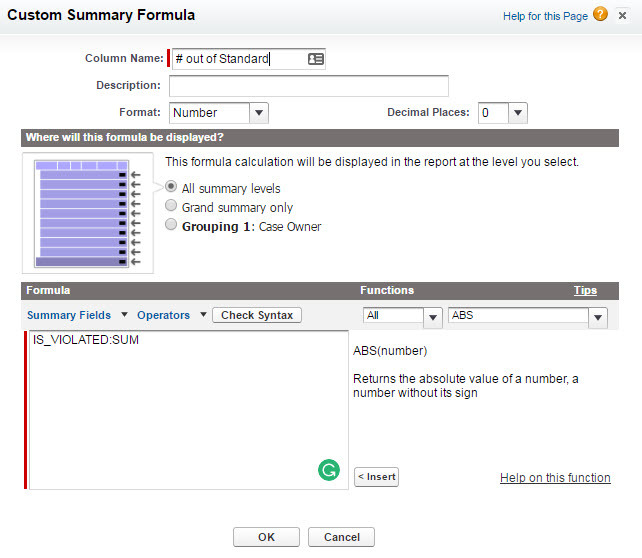 Drag the field - Violation from Milestone in the report. If you have implemented Omni-Channel in your organization, then below are the reports you might need in your organization. 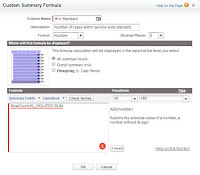 Omni-Channel - Active Users - This report will give the status of all users currently logged into Omni-Channel. 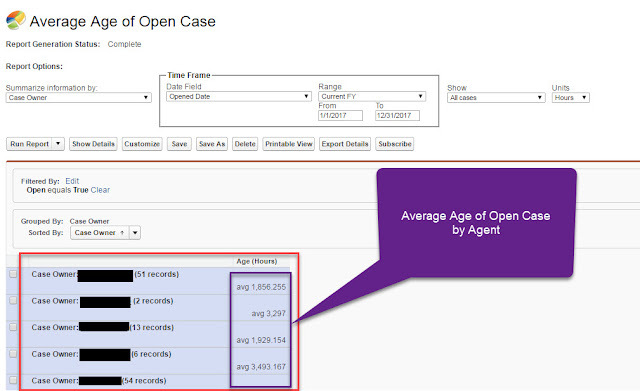 Omni-Channel - Agent Email Metrics - This report will give the summary of email average handle time by Agent. Omni-Channel - Agent Time-Outs - This report will give the summary of email cases that Agents did not accept prior to time out. Omni-Channel - Queue Email Metrics - This report will give the summary of email average handle time by Queue. This object contains information about the visitors who has initiated the chat session. One important field here is the Session Key. A session key in a unique record which is stored on Live Chat Visitor's record and end user's machine as a cookie. But why? 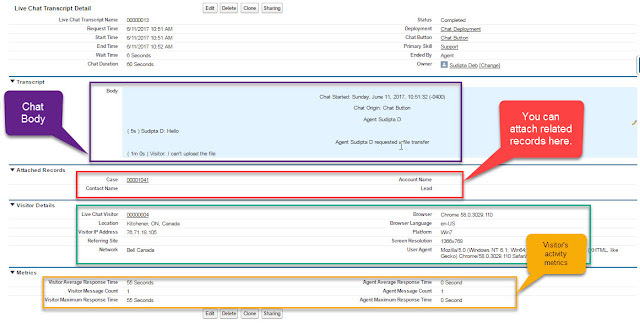 The reason is if the end user is initiating multiple chat sessions, then Salesforce will link all Live Chat Transcripts records (This is another object, which I will explain in a few minutes) to this unique Live Chat Visitor record. Here is a sample Live Chat Visitor record. This is the record which tells you the conversation that happened between your Service Representatives and End Users. It stores the chat transcripts. Salesforce will automatically create the record for you as soon as the chat session is ended and your service representatives close the chat transcript. Here is sample Live Chat Transcript record. Here is sample Live Chat Transcript Event record. This object holds the information about the agent sessions, time spent online, time spent chat, idle time etc. 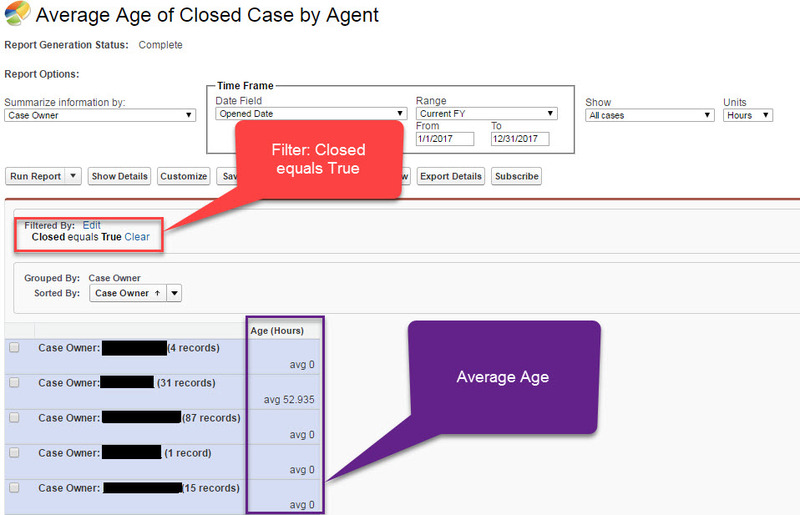 Here is sample Live Agent Session record. Quick Text is a very handy option when chatting with customers. If your Sales Representatives are using few sentences quite a number of times, then instead of asking them to write the same again and again you can create Quick Text. It is basically the shortcut for commonly used phrases/questions. 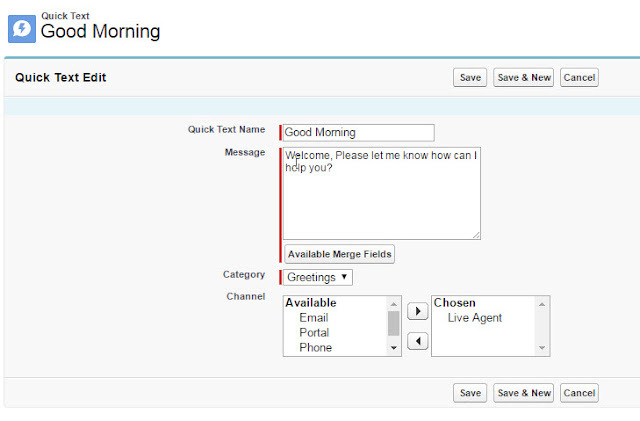 Below is a sample Quick Text for greeting customers with Good Morning. 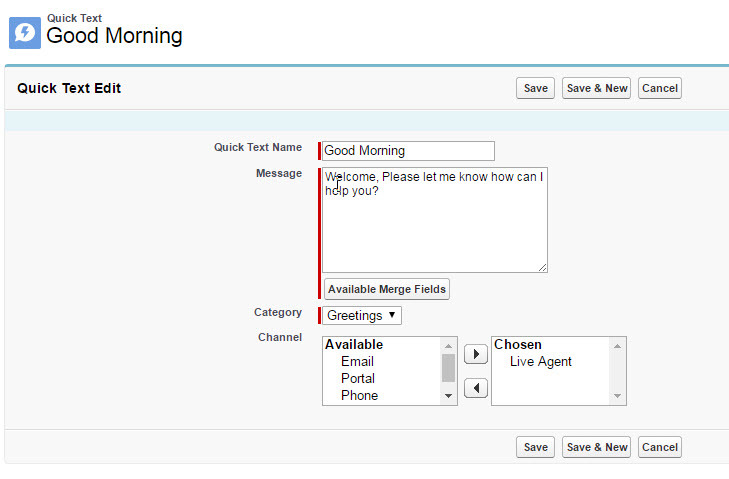 Now from the chat window, your Sales Representatives can just enter ;; and all available Quick Texts will be available to them. They can select the one. This was it will help them to respond back to the customer much quickly. 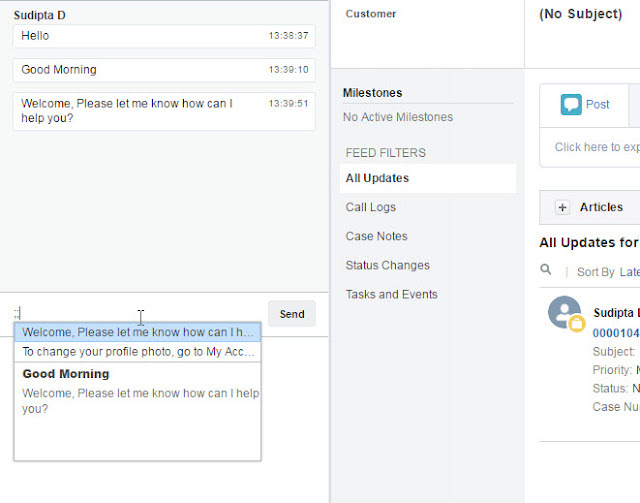 Using Live Agent Chat, Sales Representatives can chat with their customers and solve their problems or answer their questions. In today's world providing first class services to customers is very important and chat support plays an important role here. 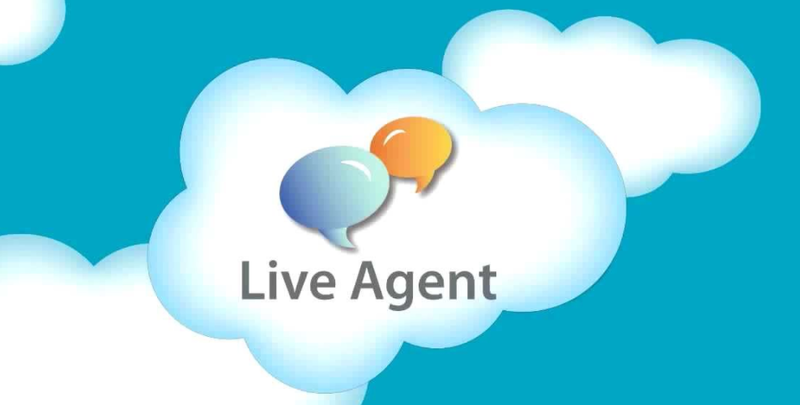 Live Agent Chats are referred as Live Chat as well. 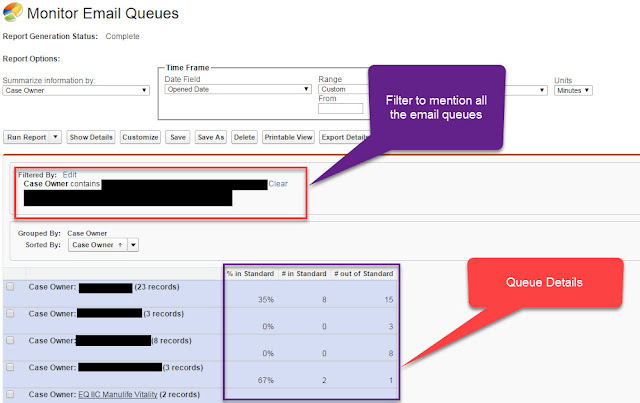 With Live Chat, customers don't need to wait for the long queue or need to wait for replies for their email queries. They can get immediate attention which eventually improves customer satisfactions. Trailhead comes up with a very good project "Build a Branded Chat" which explains how to enable Live Chat and it's basic configurations. I recommend everyone to please go through this one and understand the basic of the Live Agent Chat first before proceeding further. 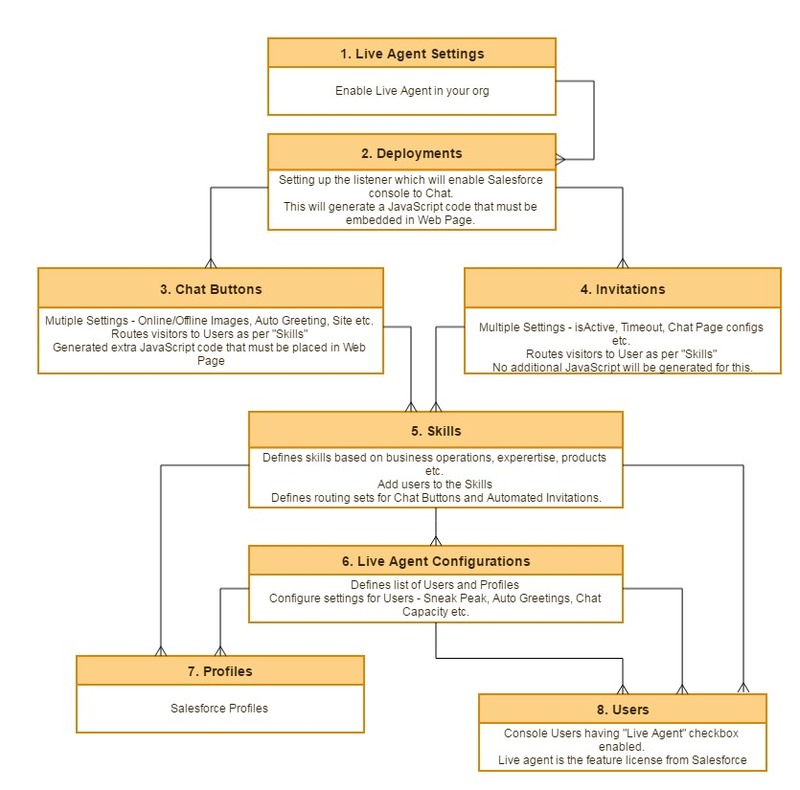 Let's try to two basic terminologies associated with Live Agent. To understand Skills, we first need to understand how we want to support our customers - is it based on geography? Is it based on business units? Is it based on products? etc.. Then based on the answers you will hire employees and train them so that they can support your customers. These peoples are known as Sales Representatives who normally support your customers. So let's say, the company "Global XYZ" is having business all over the world. They are supporting their customers based on geographies. So for them, they will create skills like - APAC, NA, EUROPE, EMEA. Again let's say the company "Global Insurance MNOP" is selling Insurance Products. So for them, the skills will be - Health Insurance, Car Insurance, House Insurance. Now you will assign your Sales Representatives(Salesforce Users) to the Skills. It's a many to many relationships i.e. 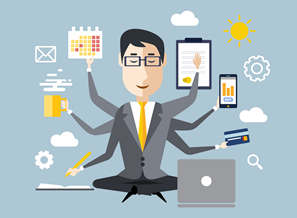 one skill can have multiple Sales Representatives(Salesforce Users) and one Representative(Salesforce User) can have multiple skills. 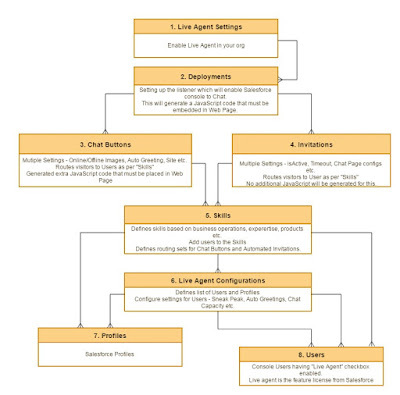 You can have more than one Live Agent deployments. 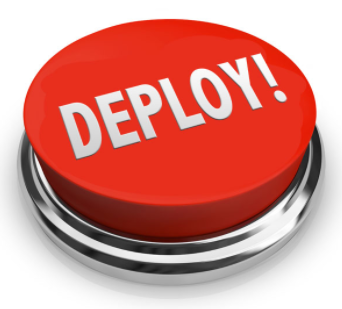 In case your organization has one Service console supporting multiple sites, you can create Live Agent deployments per site. 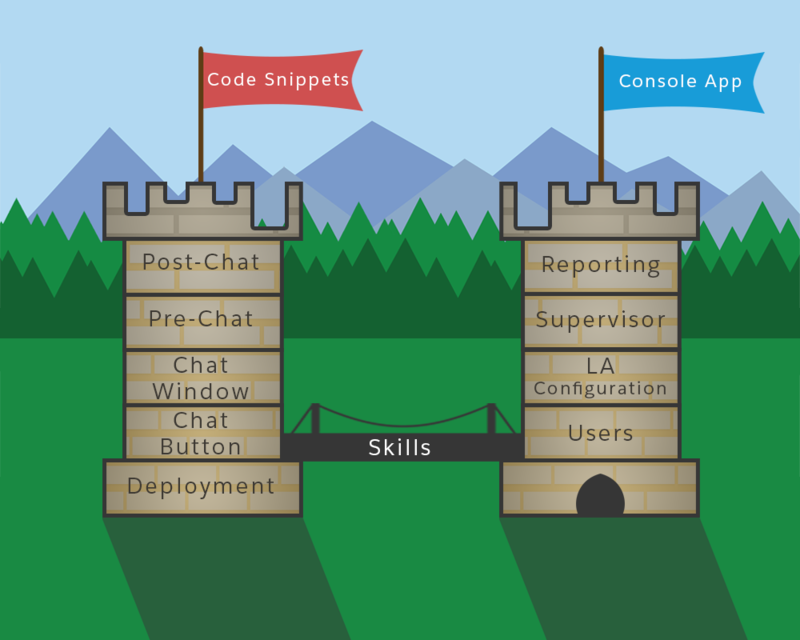 Trailhead comes up with an image which I really like and it explains the two pillars so clearly.